The United States has decided to present a draft resolution in the U.N. Security Council aimed at imposing new sanctions on North Korea after it successfully launched its first intercontinental ballistic missile (ICBM). An emergency meeting of the UNSC was called by the United States, Japan and South Korea to agree on a response to the North Korea’s ICBM test. 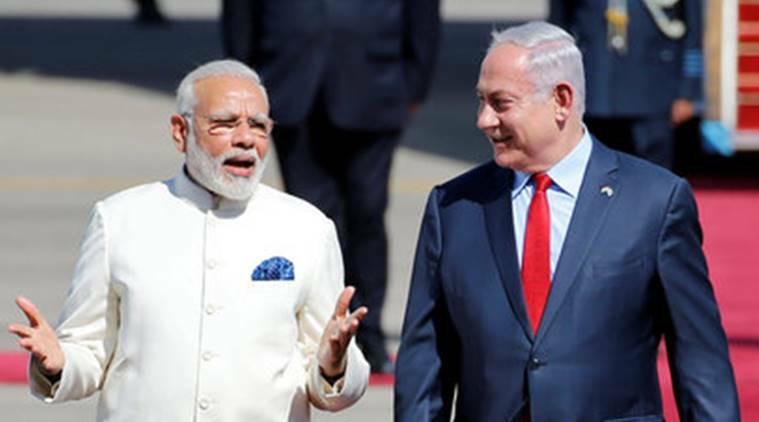 PM Modi is on a 3 day visit to Israel, the first by an Indian Prime Minister which resulted in the signing of seven agreements on areas including space, tech and agriculture. As a special gesture, a new fast growing Israeli Crysanthumun flower was named “MODI” after Prime Minister Narendra Modi, during the Indian Premier’s visit to the Danziger flower farm. A total of 7 MoUs were signed. According to the research study done by the Centre for International Development at Harvard University (CID), India is going to be the base to the economic pole of global growth over the coming decade. The pole has moved from China to India. According to BMI Research, a company under the Fitch group, India is expected to register a growth of 6.9% in this financial year. The Employees’ Provident Fund Organisation (EPFO) has inked an agreement with ICICI Bank, HDFC Bank, Axis Bank, Kotak Mahindra and Bank of Baroda for the purpose of collection of provident fund dues from the employers and payments to its subscribers. Manpreet Kaur and Govindan Laxman won gold medals on the opening day of Asian Athletics Championships held at Kalinga Stadium of Bhubaneshwar. Manpreet Singh won in the women’s shotput event and Govindan Laxman won in the men’s 5000 metres. As per the latest FIFA world football rankings update, Indian national football is now rank 96 which is the bank ranking India has secured in 21 years. Presently Germany is rank 1 on the rankings. Nilanjan Ray, a photographer, is believed to have spotted a rare ‘white tiger’ with a pale skin colour for the first time in the Nilgiris. 1. Who has won gold in women’s shot-put event at Asian Athletics Championships? 2. Which rank is Indian National Football in FIFA football rankings? 3. What is the full form of ICBM launched by North Korea? 4. Which bank has EPFO not inked an agreement with for collection of provident fund dues from the employers and payments to its subscribers?